As you are maybe aware, the recent situation on the via ferrata sets is very tricky based on the actions of different manufacturers, who replace their sets on the market from different reasons. 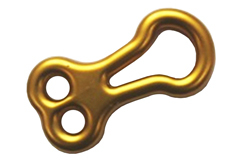 In spite of the fact that new (not used) Singing Rock rope friction via ferrata sets fully comply to all requirements of current valid EN standard (EN958), its behavior during the lifetime may differ with the level of wear. 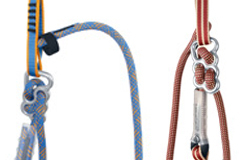 We have made the series of the tests of rope friction via ferrata sets different stage of wear. Extremely worn sets show a significant increase of the impact force. At the same time the strength of laynards may decrease to the extent, which may lead to complete malfunction of the set. 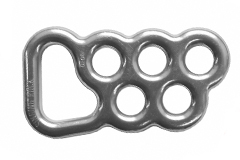 With reference to the announcement published by UIAA Safety Commission regarding the function of used or worn rope friction via ferrata sets we have decided as other world known producers (Edelrid, Mammut, Salewa and others) to replace free of charge rope friction via ferrata sets. Safety of users is our priority, thus Singing Rock is acting proactively in this matter. If you own some of below stated types of via ferrata sets, you may ship it to our address (Singing Rock, Poniklá 317, 514 01 Poniklá, Czech Republic) or to our sales representative in your country. Your set is not in use more than 5 years. Your set did not catch any fall. The sets, which are out of lifetime or damaged/sets shall be put out of further use. Please, have a look at SINGING ROCK VIA FERRATA STATEMENT (data from April 2013) to get the detailed information about your via ferrata set. For type A the tests performed proved quite a big instability of the impact force measured at dynamic testing according to EN958. Thus we have never used such solution at Singing Rock products. Type B give better stability of impact force results for brand new sets as well as the used or aged ones and we produced these sets till July 2009. In 2009 we have found the solution of tearing webbing, which shows much more stability of the results of impact force through its lifetime and we stopped production of rope friction via ferrata sets completely. If you have any questions regarding the rope friction via ferrata sets, please, contact us via email info@singingrock.cz or by phone +420 481 585 007. As said above, this voluntary replacement action is a reaction on recent situation of via ferrata’s sets on the market. We apologize for any inconvenience but once more safety of users is our priority.